From the 1860's to 1900, Addington House was the residence of the Anglican Bishops of Nassau, and the hill on which it stands became affectionately known as ‘Bishop’s Hill’ (or ‘Bishop Hill’ as we say in Bahamian). The House with its private Chapel has seen joy and sorrow, prosperity and adversity. It has suffered the ravages of hurricane and been the venue of glittering hospitality. The house has now been completely restored to serve as the offices of the Central Administration of the Diocese of The Bahamas and The Turks and Caicos Islands. The original house was probably constructed between 1800 and 1820, and was apparently owned at one time by the Commander of Fort Fincastle, which was situated on the higher ground immediately to the South. It is said that the Chief Justice of The Bahamas lived there until the early 1860's. By the time Bishop Caulfeild’s successor arrived in Nassau, the question arose as to where the new Bishop should live. The choice for bishop had fallen on the Reverend Addington Robert Peel Venables, a member of a powerful and wealthy family. (Sir Robert Peel, who has twice served as Prime Minister of Great Britain, was the Bishop’s uncle and guardian). When the Venables arrived in Nassau early in 1864 they lived at first in rooms above a shop in Bay Street, but when the Chief Justice’s residence became available, Bishop Venables purchased it out of his own considerable resources. Bishop and Mrs Venables lived in the house for the rest of their time in Nassau. Bishop Venables’ Episcopate was marked by the disestablishment and disendowment of the Church of England in the Colony and also by tension over the introduction of changes in the ritual and services of the Church. All this took its toll. In June 1876 the Bishop became ill and went Hartford, Connecticut for medical treatment and died there later that year at the early age of forty-nine. The Bishop’s wife and young children inherited the house and agreed to sell it to the Diocese of Nassau for 800 pounds to become a permanent residence for the Bishop of the Diocese. In honour of the late Bishop Addington Venables the house on Bishop Hill was renamed Addington House, and became the home of the next Bishop, the Right Reverend Francis Alexander Randall Cramer-Roberts and his wife. 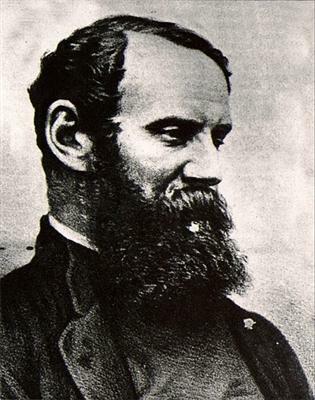 Bishop Cramer-Roberts’ period in Nassau was a peaceful time after the turmoil of Bishop Venables’ tenure. Although he achieved much in consolidating the work of the Church, it was also a period of sadness. It is said that his first wife and all their children died here and when his second wife became ill in May 1885 Bishop Cramer- Roberts resigned the See and returned to England. 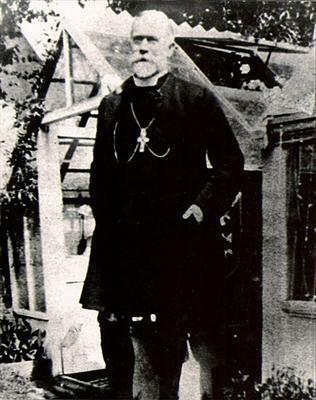 The Right Reverend Edward Townson Churton, who was Bishop from 1886 to 1900, followed the Cramer-Roberts family at Addington House. ‘The Lord Edward’ as Bishop Edward Churton came to be known, arrived in Nassau in March 1886, after having been ship wrecked on the voyage out. In April of that year he wrote how he had brought the Priest from Governor’s Harbour, Eleuthera to Addington House so he could receive care in a serious illness. The sick Priest was the Reverend Henry Shuter Crispin whom the Bishop describes as “one of the best and most valued of our clergy”. Fr. Crispin died seven weeks later. Edward Churton was a scholar who brought a new level of intellectual leadership to the Diocese. He was also tireless in his work in building up the Churches in the Family Islands. 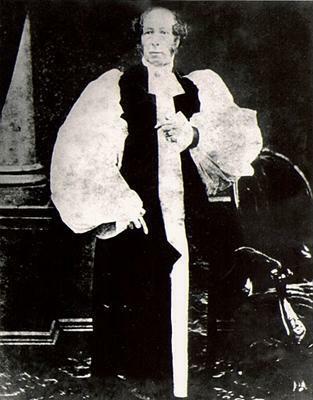 Bishop Edward Churton’s wife passed away in 1890, and his younger brother the Reverend Henry Noris Churton, who was already a widower, came to Nassau to assist his brother in the work of the Diocese. He became Archdeacon of The Bahamas and treasurer of the Diocese. 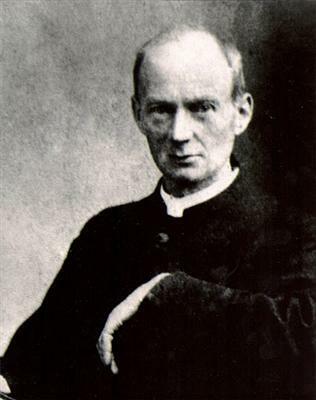 The older brother resigned because of illness in 1900, and the younger brother eventually succeeded him as the fifth Bishop of the Diocese. Bishop Henry Churton only lived in Addington House by himself for a little over a year as in January 1904, he was tragically drowned while trying to get from a Confirmation Service on Ragged Island to his yacht, the ‘Message of Peace’. One of Bishop Edward Churton’s friends was the Right Reverend Wilfred Bird Hornby, the Bishop of Nyasaland. Hornby visited the Churtons in Nassau in 1899 and visited many of the islands to assist Bishop Edward Churton who was already in poor health. When Henry Churton died, Bishop Hornby, who was already known and loved by many in the Diocese, was elected the Sixth Bishop. He took up residence in Addington House in 1905 and lived here until his retirement in 1918. It is thought that the two buildings to the east and west of the main house were probably built around the turn of the twentieth century. If this is so, then it was possible that either Bishop Edward Churton or Bishop Hornby was responsible for those additions. The Right Reverend Roscow Shedden and his sister Miss Evelyn Shedden were the next occupants of Addington House. Fr. 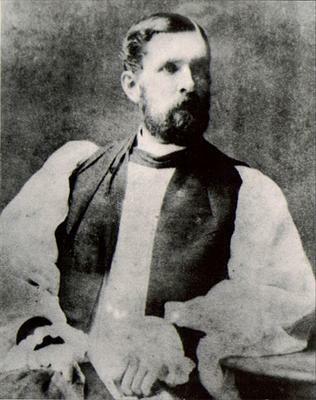 Shedden had been selected to replace the Reverend G.H. Brown, who had been elected by the Diocesan Synod but had died in the terrible influenza epidemic of 1918 before he could be consecrated. 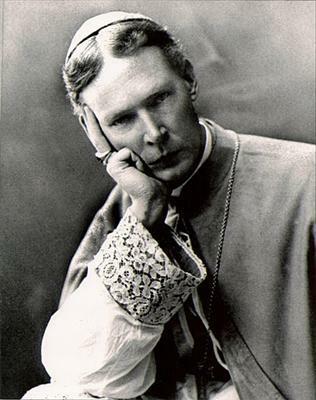 At the time of Shedden’s consecration as Bishop, he was the youngest Bishop in Christendom. The Sheddens took up residence in November 1919. Although his time in Nassau was beset by squabbles about ritual and vestments, Shedden was a popular figure in The Bahamas, and he did much to encourage young Bahamians to consider a vocation to the priesthood. In 1929, the worst of a series of severe hurricanes hit Nassau, and Addington House was badly damaged. The upper storey of the east Building was completely destroyed, resulting in the total loss of the Addington Library, and the main house sustained serious damage. 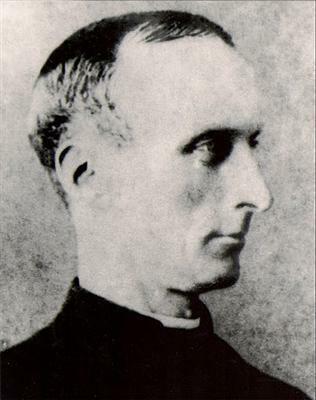 When Bishop Shedden retired in 1931, the Synod elected a former Royal Navy Chaplain, the Reverend John Dauglish to succeed him. 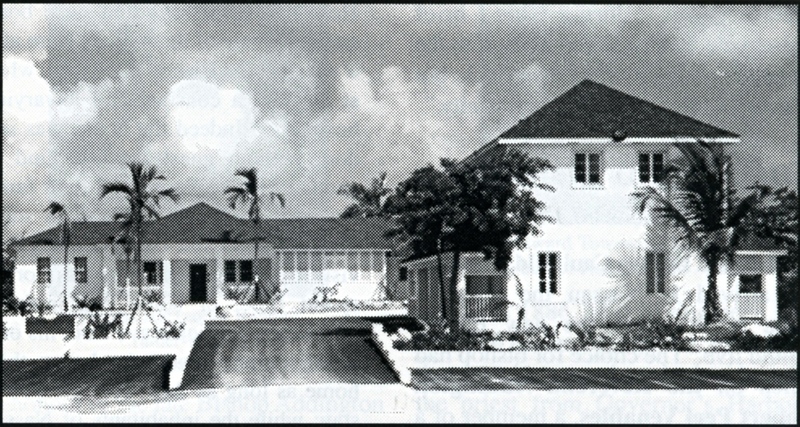 Bishop Dauglish moved into Addington House in 1932 and his mother lived with him for the first four years of his time in Nassau before she passed away. Bishop Dauglish is remembered as an efficient administrator and one who was not afraid to speak out passionately on moral issues. In 1942 he resigned to take up the position of Secretary of the Society for the Propagation of the Gospel. The SPG, as it was usually known (now the USPG), is the Missionary society that has done so much over the years to support and encourage the work of the Church in The Bahamas. 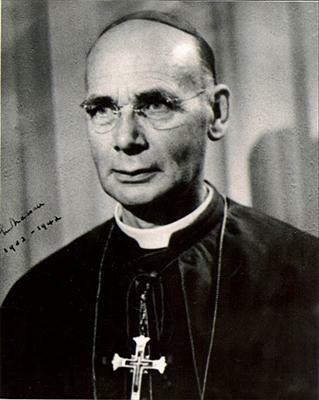 The only American to serve as Bishop of Nassau, the Right Reverend Spence Burton, took up residence in 1942. Bishop Burton was a monk of the Society of St. John the Evangelist, and was the Superior of the American branch of the Order. He had already served as Suffragan Bishop of Haiti. Although he was unmarried, the tradition of open hospitality continued at Addington House and many people especially remember his encouragement of Bahamian clergy. In 1955, H.R.H. Princess Margaret, attended a Mass in the Chapel of Addington House during her visit to Nassau. As a religious, Burton disliked the comfort of the Main House and usually slept in Spartan conditions in what remained of the East Building, which henceforth became known as Burton Lodge. Often one of his dogs shared the lodge with him. During this time, the office of the Bishop’s secretary was also housed in Burton Lodge. The last English Bishop of Nassau was Bishop Bernard Markham who lived at Addington House from 1962 to 1972. The house was re-roofed and refurbished during his time. The West Building became the administrative center for the Diocese and the upper story was used as a conference room. Markham was an anti-colonialist who did much to prepare the Church and its people for the coming of independence. He encouraged vocations to the priesthood among Bahamians, and was dedicated to deepening the spiritual lives of the clergy and laity. The tradition of hospitality at Addington House continued under Bishop Eldon and guests during this time included previous Archbishops of the Province of the West Indies, the Most Reverend Alan Knight and the Most Reverend Cuthbert Woodruff. However, by 1990, it was found that there were serious structural problems developing, which made it unsuitable as a residence and Bishop Eldon moved to other accommodations. Addington House was then occupied in turn by the Youth Department of the Diocese and by the Anglican Central Education Authority. Then, under the leadership of the Most Reverend Drexel W. Gomez, the decision was finally taken to embark on a major restoration programme and this began in earnest in 1999. It was decided that this would be undertaken as part of the Diocese 2000 and Beyond Programme that had been inaugurated in 1998. This Programme seeks to revitalize seven basic ministries of the pay people of the church as well as providing material improvements and an endowment for the Diocese. The Reverend Colin Saunders, who is an architect as well as a priest, was asked to supervise the restoration project. After careful consultation with both the Ministry of Works and the Antiquities, Monuments and Museums Corporation, it was agreed that Addington House is a significant historical site, of great value to both the Anglican Church and the Bahamian Nation. It was determined that the restoration would be undertaken in such a way as to preserve, as far as possible, the historical integrity of the complex. Wherever feasible materials and finishes were as close as possible to the original, so that doors, windows, hardware, etc., match those used in the period of the original construction. The Right Reverend Laish Zane Boyd Sr.
Bishop Laish Zane Boyd Sr was born August 25, 1961 to Wilton E. Boyd and Ruth C. Boyd (nee McNeil) in New Providence. He was ordained to the Diaconate in St. Agnes Church, New Providence on July 22, 1986 and to the Priesthood on June 24, 1987 in Christ Church Cathedral, Nassau. He served as Assistant Curate at The Church of Christ The King, New Providence (1986-1989), Priest-in-Charge at The Church of Our Lady and St. Stephen’s, Bimini (1989-1992), Priest Vicar at Christ Church Cathedral, Nassau (1992-1997), and Rector at Holy Cross Church, New Providence (1997-2006). On June 29, 2006 being the Feast of St. James, he was consecrated Bishop by the Most Reverend Drexel W. Gomez. 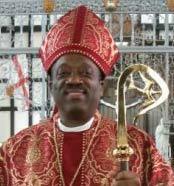 On January 1, 2009 he assumed office and was enthroned as the thirteenth Bishop of The Bahamas and The Turks and Caicos Islands on February 8, 2009. Bishop Boyd established the following guidelines for the Way Forward: Clergy Wellness; Clergy Spouses; Mission Focus: A response to God’s love through our Stewardship of Time, Ability and Possessions; Archdeacons; Capital Works; Financial Picture; Hold the Fort; Anglicanism. He is married to the former Joann M. Gray and they are the parents of three sons, Zane, Joash and Nathan. 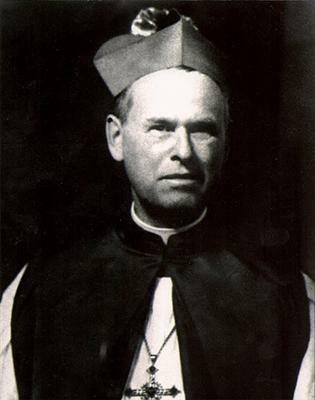 On Low Sunday, April 1, 1951, The Bishop announced the appointment of Canon Knowles as Archdeacon of The Bahamas. He chose that title rather than Archdeacon of Nassau to emphasize the fact that the work of the Archdeacon of this Diocese is primarily in the Family Islands. He knew of no Priest so well fitted by birth, education, training and experience to be the Archdeacon of the Diocese; Canon Knowles is the first Bahamian Priest to be Archdeacon. He continued as Rector. The People of St. Matthew’s were very proud of him. Since the appointment of Archdeacon Knowles, the Bishop’s wish had been to make the Church in the Diocese indigenous. All missionary work in the Diocese had been initiated by foreign Bishops, Priests and Laymen. Ultimately, the Church becomes native to each country and it becomes self-perpetuating as well as self-governing. Having a Bahamian Archdeacon was a step in the right direction. Archdeacon Knowles continued to be very busy and on August 31, 1951, the Reverend Max Rohn arrived in Nassau to take care of St. Matthew’s while the Archdeacon took a holiday. Meanwhile, later in 1951, Reverend R.W. Dobson was Assistant Priest; he was described as a likeable person, always willing to assist the people of his parish. In 1953, Archdeacon Knowles was consecrated Bishop of Antigua. Through the years, St. Margaret’s and St. George’s grew and on February 1, 1963, they became self-supportive hence the parishes of St. Margaret’s and St. George’s. 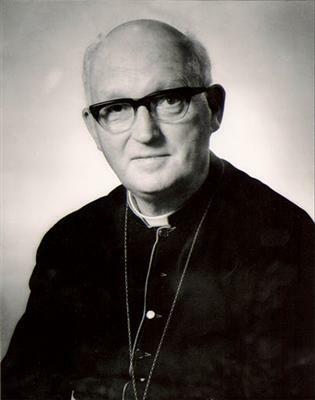 Bishop Knowles returned to Nassau in 1969 and became the Assistant Bishop of Nassau. Although retired in 1975, he remained active and the people in the Eastern District continued to seek his advice. 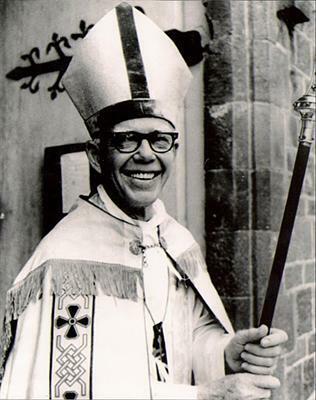 September 26, 1977, Bishop Knowles died. 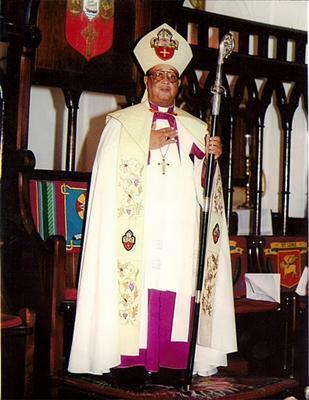 Bishop Gilbert Arthur Thompson was born on October 17, 1935 in Nassau, Bahamas to William Edward and Corene Thompson. He is the brother of the late Archdeacon and past Rector of St. Agnes Parish, the Venerable William E. Thompson. Bishop Thompson can proudly trace his roots to the St. Agnes Day School where he started off in 1940 from which he continued an extensive educational career path over the years. 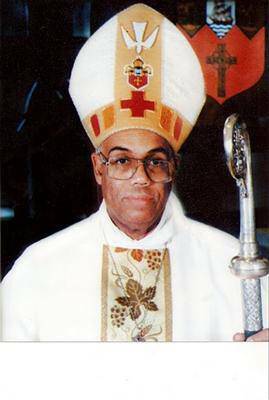 Bishop Thompson was ordained to the Diaconate on December 21, 1960 at St. Michael’s Cathedral, Barbados and to the Priesthood on November 8, 1961 at Christ Church Cathedral, Nassau. 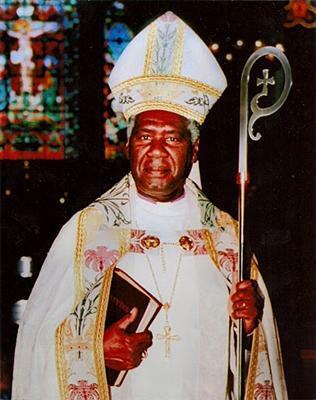 On June 24, 2000, he was consecrated as the Suffragan Bishop of Nassau at Christ Church Cathedral. The Churches where he served include: St. Peter’s Parish, North Long Island as Parish Priest (1961-1968), Christ Church Cathedral as Canon (1990-1998), and St. Barnabas Parish as Rector (1968-2000). Bishop Thompson not only shares his love for Christ in the Church but also expresses this passion through education as reflected in the various other posts he held as Headmaster, College Lecturer, Teacher, College Board member, College Advisory Council Chairman, just to name a few. He is the author of the books, “Instructions for Anglicans’ and “A Goodly Heritage”. He is married to Olga Louise nee Major and they are the parents of three children and also proud grandparents. Bishop Cornell Jerome Moss was born to Mrs. Susan Taylor Hunt and Mr. Richard David Moss in New Providence, Bahamas on December 31, 1959. He was ordained to the Diaconate on January 5, 1983 at St. Barnabas Church, New Providence and to the Priesthood on January 5, 1984 at Christ Church Cathedral, Nassau. On August 16, 1986 he was joined in Holy Matrimony to Carol Lisa Thompson. He served as Priest-in-Charge at St. John the Baptist, Southern Abaco (1986-1993), and Rector at the Church of The Ascension, Grand Bahamas (1993-2009). He was appointed Archdeacon of the Northern Bahamas Archdeaconry on January 1, 1998. He was selected by the House of Bishops of the Province to succeed the Rt. Rev’d. 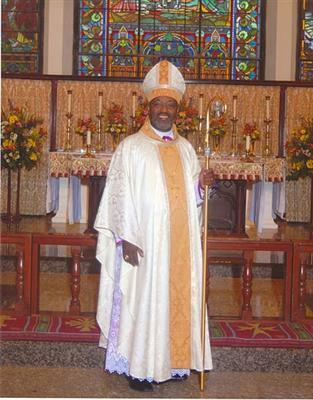 Randolph George on his retirement as Bishop of Guyana and was consecrated and ordained Bishop of Guyana on December 8, 2009 at the Cathedral of St. George, Guyana. He is the third son of the Diocese to become a bishop in another part of the Province. Donald Knowles became Bishop of the Diocese of Antigua (now the diocese of the North Eastern Caribbean and Aruba) in 1953, and Drexel Gomez became Bishop of the Diocese of Barbados in 1972.